This book analyzes contemporary visual art produced in the context of conflict and trauma from a range of countries, including Colombia, Northern Ireland, South Africa, and Australia. 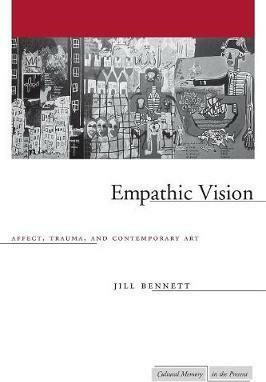 It focuses on what makes visual language unique, arguing that the "affective" quality of art contributes to a new understanding of the experience of trauma and loss. By extending the concept of empathy, it also demonstrates how we might, through art, make connections with people in different parts of the world whose experiences differ from our own. The book makes a distinct contribution to trauma studies, which has tended to concentrate on literary forms of expression. It also offers a sophisticated theoretical analysis of the operations of art, drawing on philosophers such as Gilles Deleuze, but setting this within a postcolonial framework. Empathic Vision will appeal to anyone interested in the role of culture in post-September 11 global politics. Jill Bennett is Associate Professor of Art Theory and Director of the Centre for Contemporary Art and Politics at the University of South Wales, Sydney.